Boy, do I have a treat for you! And by “treat”, I mean embarrassing for me, hilarious for you. I found the license I got on my eighteenth birthday. 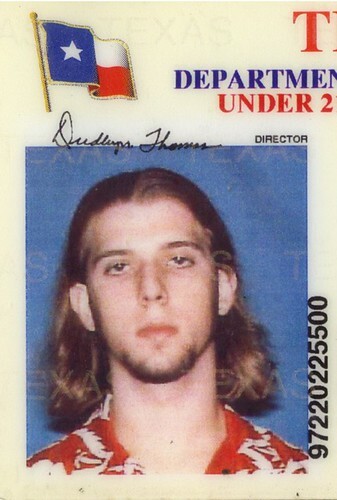 Back in the day when I had long hair and looked, more or less, like Jesus. And, wore Hawaiian shirts quite frequently. For some reason, I decided not to smile. As you can see, the sum of all this is that I end up looking like a convict. I had long, braided hair that went down to my chin in high school (also 10 years ago, ugh).